Xbox One S All-Digital Release Date, Box Art Leaks | Nerd Much? While the Google Stadia is looking to begin the future of gaming later this year, Microsoft is looking to take step in that direction as well, just much sooner. 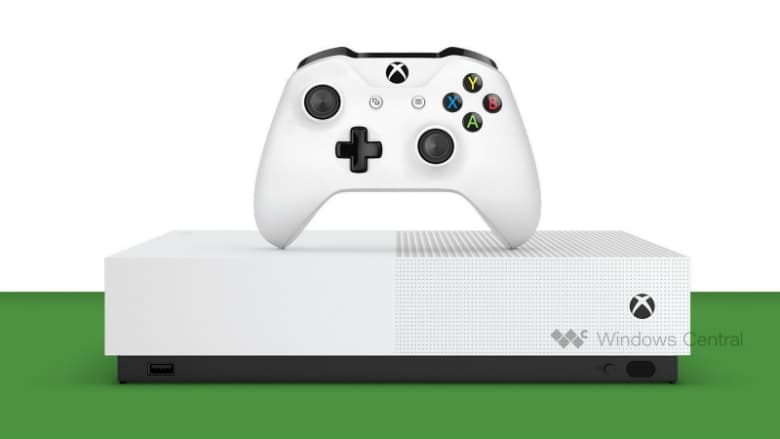 The Xbox One S All-Digital release date has reportedly leaked. Indicating that Microsoft’s disc-less console is right around the corner. Windows Central was the conveyor of the Xbox One S All-Digital release date leak. 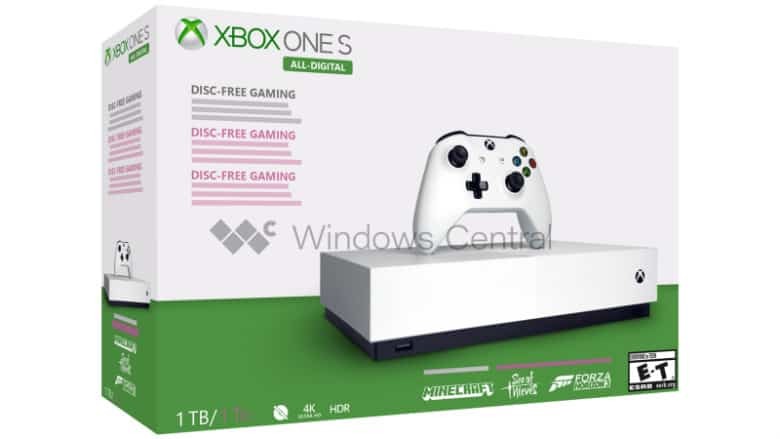 The outlet also has art that confirms that the disc-less console will look pretty much identical to the current Xbox One S. However, it won’t feature a disc drive nor an eject button, of course. It sounds as though the plan is to unveil the All-Digital Xbox at an Inside Xbox event in mid-April. Following the console’s announcement, Microsoft is hoping to have a global rollout in May. Windows Central states that date will likely be May 7th. Windows Central’s sources all state that the Xbox One S All-Digital edition will come digital codes for Minecraft, Sea of Thieves and Forza Horizon 3. From what they can tell it will not come with an automatic subscription to Microsoft’s Xbox Game Pass service. The system will come with a 1 TB hard drive. Exact pricing details weren’t available. But it’s expected that the disc-less Xbox One S will come in as the cheapest across the Xbox line. Making it the perfect option for gamers on a budget – so long as they have decent internet service. We should be hearing in just a few weeks whether all of the rumors of the Xbox One S All-Digital release date hold true. It’s a bold move for Microsoft, one that may hint toward the company’s plans for the next console generation.